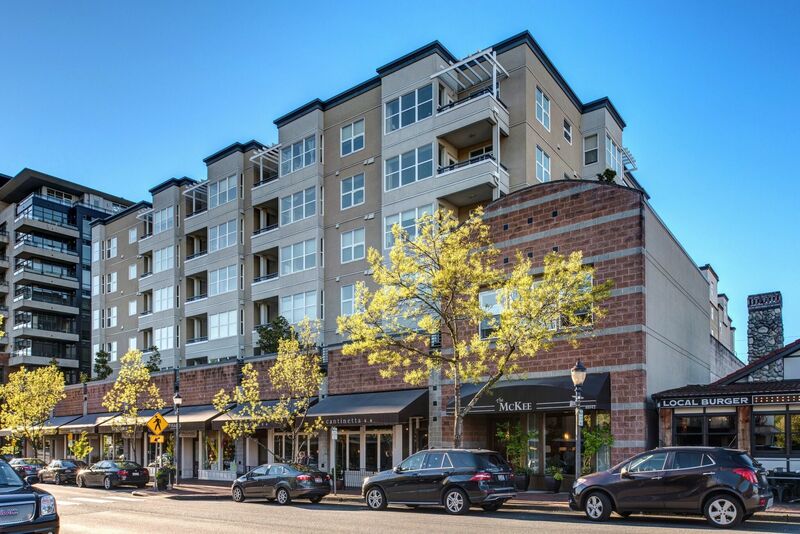 Sleek, beautiful, and offering amazing amenities, the McKee building in Bellevue, Washington presents homebuyers with a variety of wonderful condominiums that boast impressive features and elegance in an exciting and convenient location. Located at 10042 Main Street in Bellevue, Washington, the McKee building was constructed in 1995 and offers homebuyers the chance to live in lovely downtown Bellevue. Offering incredible features, style, and proximity to the area attractions, the McKee Building is a one-of-a-kind opportunity to own a luxury condo in Bellevue. Buy a new home in the McKee Building and take advantage of all that the complex and surrounding community have to offer. While the great location and unique style of the McKee building are sure to attract many homebuyers interested in the area’s condominiums, the McKee building is unique in that it offers homebuyers wonderful proximity to all that downtown Bellevue offers. Buy a new home in the McKee building and enjoy delicious dining options like Bis on Main or the incredible Cactus Bellevue Square. Explore endless shopping opportunities in Bellevue, then indulge in amazing nightlife and entertainment. The McKee Building offers homebuyers an amazing chance to enjoy all that the city of Bellevue offers. Buy a new condo in the McKee building and take advantage of the opportunities the great city of Bellevue provides. In addition to offering incredible amenities and attractions, the beautiful condominiums in the McKee Building offer first-rate real estate options for homebuyers interested in luxury living. Buy a new home in the McKee Building and look forward to living with incredible features like a wonderful spa and outdoor pool, gorgeous courtyard, and convenient exercise room. The units that are available in the McKee Building range in size from 580 square feet to nearly 2,000, with the average unit size being 1,204. There are several floorplans available, so homebuyers can select the one that best suits their need for living space. The options in the McKee Building are truly wonderful and unique, and are an amazing option for homebuyers interested in the Bellevue area. Those interested in taking advantage of the great real estate opportunities that the McKee Building in Bellevue, Washington presents should not hesitate to contact us today for more information or with any questions they might have regarding McKee Building homes for sale.